It seems inevitable that whenever a group of tiny house enthusiasts gets together, someone is going to bring up the topic of plumbing — and specifically toilets — pretty quickly. (One friend of Build Tiny may never live down the nickname Toilet Tim, thanks to his relentless questions about the merits of composting toilets at a workshop…) Your first conversation about tiny house toilets might feel a bit awkward, as you ask yourself how you jumped into such personal territory with people you’ve just met, but quickly you realize that the plumbing question is a very important one to consider when building a tiny house. 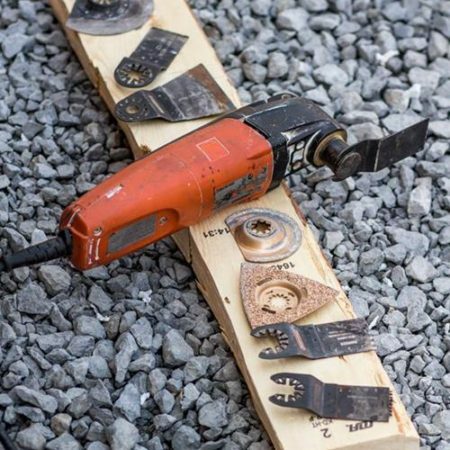 Unlike a conventional house, where local building codes dictate many details of your household plumbing and restrict your choices to a very small number of decisions that are mostly aesthetic (PVC vs cast iron pipe, for example), a tiny house affords you a number of options when it comes to plumbing. The system you choose for dealing with human waste in a tiny house is determined by a number of factors; where you plan to park, whether any local codes affect your construction, your budget, and your willingness to interact with waste, chemicals, etc., all play a role in determining what toilet system best fits your tiny house. 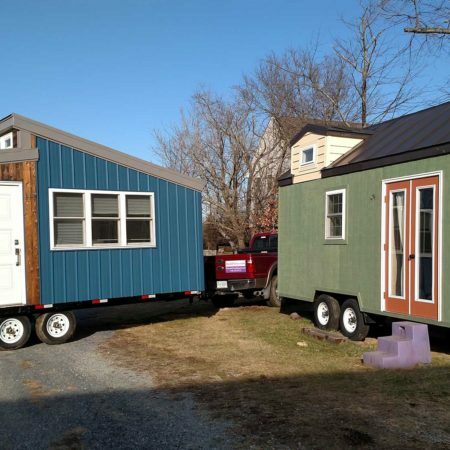 Here, we’ll consider the pros and cons of four different toilet options for tiny houses: traditional household toilets, RV-style toilets, chemical toilets, and composting toilets. If your tiny house will be mostly stationary, with hookups to a sewer line or septic system, a conventional porcelain household toilet can be a fine option. You’re already (we hope!) familiar with the operation a standard flush toilet, so that’s one less lifestyle adjustment you’ll need to make if you’re downsizing from a larger house. The homes we craft at Build Tiny are sized to fit a full-sized household porcelain toilet, if the owner so desires. If you’re planning to park your tiny house in RV campgrounds, or if you want to move with some frequency, an RV-style plumbing setup may fit your needs. Many RVs are equipped with holding tanks that capture and store black water (toilet waste) separate from gray water (from showers and sinks). 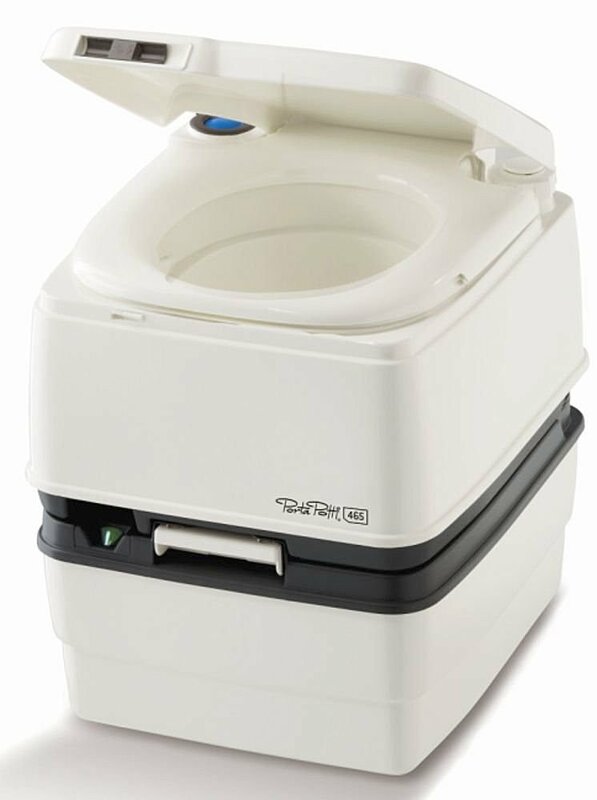 RV toilets come in various sizes, but many models are sized to match full-sized household toilets. Chemical toilets, or port-a-potties, offer a self-contained option that requires no plumbing. Waste is captured and stored in a single unit, in which any of a number of chemical compounds is used to control odor and break down waste. Often these compounds have an artificial blue color, such as the water in an airplane lavatory. Once the unit is full, the waste is disposed either by the user or by a servicing company. Composting toilets run the gamut from pricy electric units to simple, inexpensive DIY systems. These toilets use organic material, such as peat moss or wood shavings, to convert human waste into reusable organic compost. Many tiny house dwellers opt for composting toilets that can be custom-fit into small spaces. What plumbing options are you considering for your tiny house? What have you done? Let us know in the comments! *Build Tiny, LLC, cannot offer legal advice on zoning or code compliance. Check with your municipality for regulatory issues that may affect your construction.